Discover a whole new playground at White Pass! With majestic views of Mt. Rainier, White Pass provides terrain for skiers and riders of every ability. Explore steeper terrain off the Great White Express, or explore Paradise Basin on the Couloir Express and Basin Quads. Our mid-mountain Lodge, The High Camp, is the perfect meeting point for brunch or an afternoon bbq and beer. 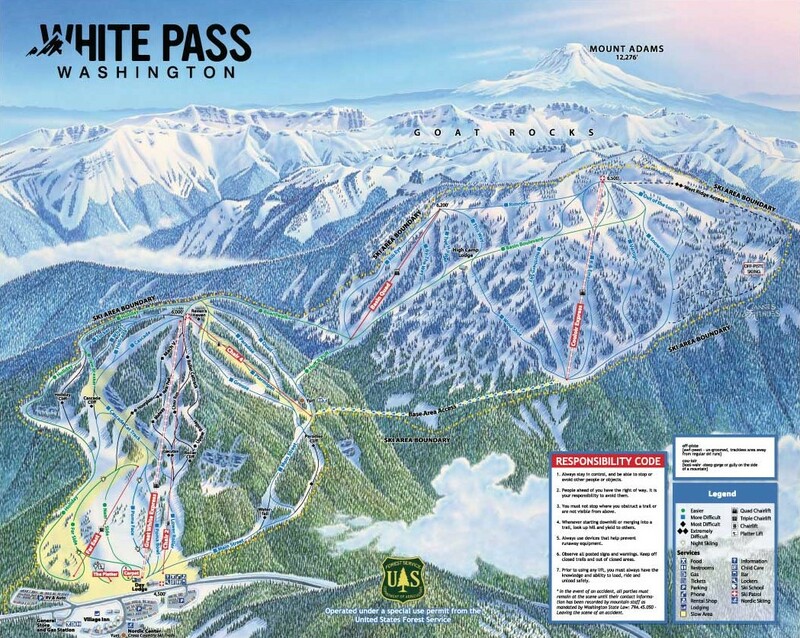 White Pass features slopeside lodging at the Village Inn, on-site Child Care, multiple dining options, full-service Learning, Nordic, Rental & Retail Centers, all found in a relaxed family atmosphere. Leave the city behind and escape to White Pass!